Played in the B &M Centre on Pascal St starting at 3:55 and 4:40pm (if a second round is required) . 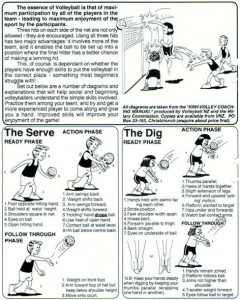 This comprises five minutes warm up on the court and forty minutes for a game. 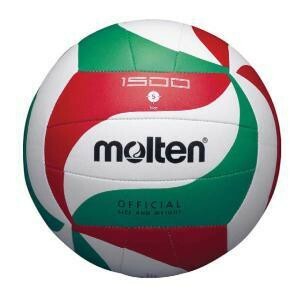 Intermediate Volleyball is played on a net height of approx 2.10metres. 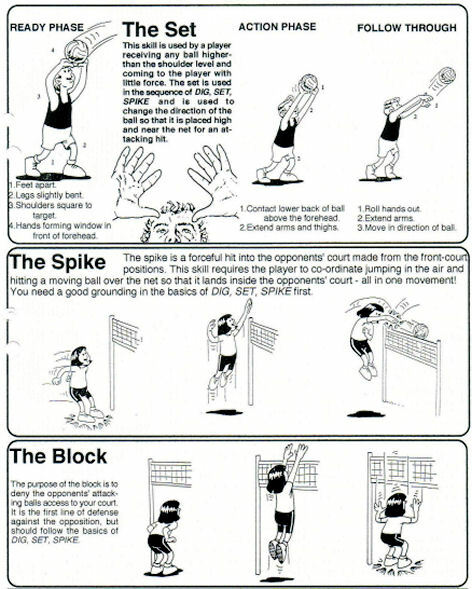 A game consists of three “sets” with the first 2 sets being up to 25 points. 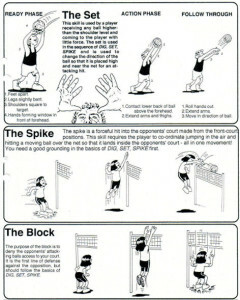 – First team to 25 (and ahead by 2, Max 27 points) wins the set. The third Set is only to 15 but must win by 2 points (No Cap) . A point is awarded for every rally played to the Team winning the rally whether they served or not. 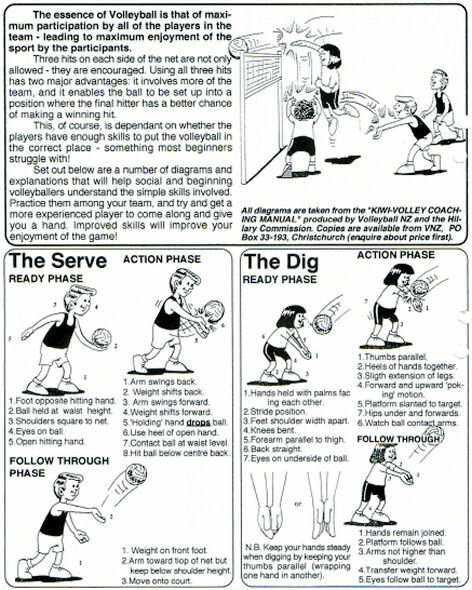 We play a maximum “5 serve’s” rule to encourage competition.